The TC-L65E60 is the largest LCD/LED Panasonic is releasing this year. The 65 inch size class is becoming a very competitive category. Panasonic's entry is not very feature heavy, but holds its own when it comes to picture quality. The E60 is the top model without 3D playback in the 2013/14 lineup. The only thing we wish it had was the IPS panel of the models above it. The mark against side viewing angles is a big one in our book. All in all it is a middle of the road set bound to be a solid performer. The shedding of a few key picture quality elements makes the E60 a much more value oriented model. The most important difference is the LCD instead of the IPS LED panel. It's a pretty significant downgrade mainly effects side angle viewing. Luckily, it's got the same Clear Panel Pro filter that keeps images bright and sharp. 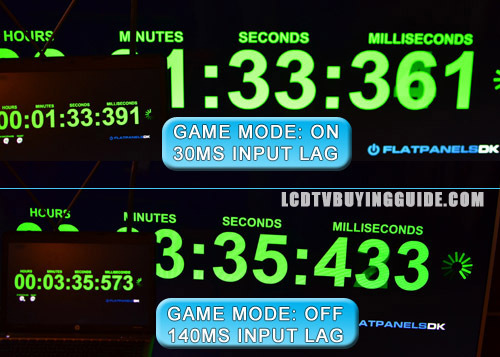 The backlight manipulation through Backlight Scanning has been bumped down to 240 Backlight Blinking, but what's important is the 120Hz refresh rate. The 65E60 has a 120Hz native panel. This in itself is a nice upgrade over 60Hz. The difference in fast motion playback and side to side panning is huge. This model uses a feature called 240 backlight blinking to push the processing just a bit further. It is nowhere near the 4200 backlight scanning of the WT60, but a good effort nonetheless. With 240 backlight blinking on edges show a little smoother and motion blur a little less apparent. The Motion Picture Setting located in the picture menu controls the amount of judder on the 65E60. Weak, is really the highest this should be set since there is no 3D playback on this TV. Blu-rays, DVDs, and video games are going to be the best with this turned off. If any judder bothers you at all, the weak setting may be just the right choice. The smoothing effect is very unobtrusive as it doesn't noticeably flatten out images and get rid of background blur. 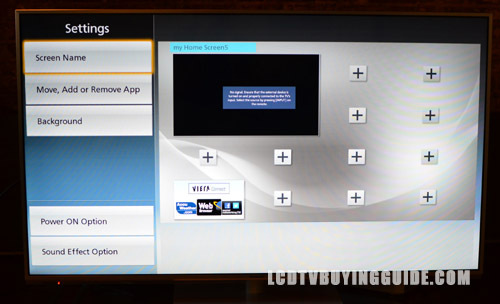 Enabling the Game Mode is a must if you plan on doing any gaming on this TV. It's located in the Advanced Picture menu. Turn it on and you are ready to go. The Game Mode disables most of the picture processing to decrease input lag. The TC-L65E60 is very successful with this. This will be the go-to mode for a first person shooter or action game hands down. When playing Battlefield 3 and Okami HD, that was by far the best setting for each. Also, make sure Overscan is set to off. This way the entire picture will seen be on screen. This is found in the Screen Settings menu. 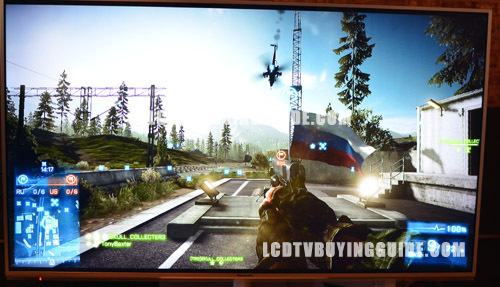 The E60 is a great value choice for a gaming LED TV. Connection through the on board wifi is one of the strongest points of the E60's internet features. This simple feature really improves the overall experience. We've seen other smart TV platforms were a slow connection really hurts the experience. The Apps button gives access to all of the Viera Connect apps. The most important apps like the web browser and media player are laid out across the top of the menu with downloaded apps like Netflix, MLS MatchDay, and Amazon Instant Video below. These can be rearranged to anyone's liking. Positions can even be password locked if that is needed for some reason. This seems like a thrown in feature, but I imagine there is a time and place for it. Voice Guidance is an accessibility function that uses text to speech functions to read text content aloud as it appears on your TV. 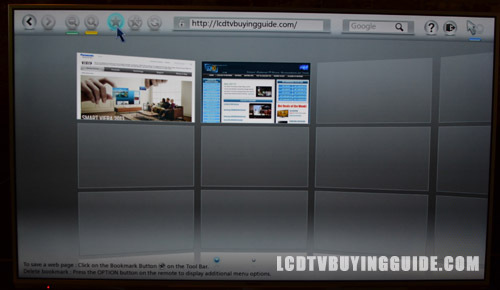 This can be a big help when using the on-screen web browser or for people that have a hard time reading the screen. The volume on the E60 comes off very weak. Even when nearing full volume. The small woofer on the ET60 didn't seem to do much, but it's absence if felt. This one has two 10 watt speakers that just don't push out enough sound to fill up a room. Deep voices sound muffled and hollow. We tried to coax a little more bass out of the speakers by adjusting the bass levels. The difference was minimal. The built-in speakers are fine for light TV watching, but will need some outside help for much more than that. The Panasonic TC-L65E60 is a pretty expensive TV at $2,670. It provides a good balance of size, picture quality, and features. Some similar models that are priced lower but offer similar featues are the Samsung UN65F6300 and the Sony KDL-60R520A. The Panasonic has a much better appearance, but it's good to consider these other offerings since the price tag is a little lighter on those.